Andrea Pojezdálová is a young Slovak fashion designer. She studied fashion design at the Academy of Fine Arts and Design in Bratislava. She was the winner of the following competitions: Brillance Fashion Talent competition in 2011, the International Re-Act Fashion competition in 2011, Fresh fashion designer in 2014, and she won the title of the Best fashion graduate in 2015. She focuses on womenswear collections. Her timeless dresses can be characterised by smooth lines, limited colours, unusual patterns and a combination of various materials. She often uses contrasts of flat and structured surfaces in her designs to create silhouettes. She likes using traditional textile techniques which she creatively puts into a modern form. 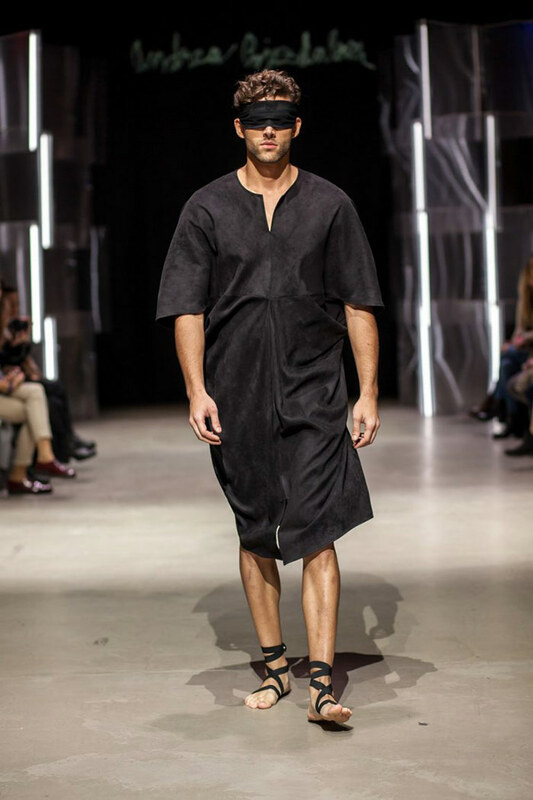 Garments combine conceptual minimalism with high quality materials and perfect craftsmanship. All her collections are produced on a small scale and they are made in the Slovak Republic.